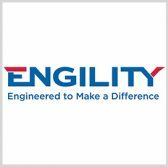 Engility CEO Lynn Dugle has said the company has identified areas of commonality with Science Applications International Corp., Politico reported Wednesday. She told the publication in an interview that both companies have invested in projects related to multi-constellation planning, data exploitation, analytics and mission management. SAIC agreed to acquire Engility in September through a $2.5B all-stock deal to create a new government technology and professional services contractor. “We found very, very little overlap and a lot of complementary programs and activities,” said Dugle, a two-time Wash100 winner. She added the two companies aim to accelerate the delivery of commercial hardware and software platforms that can aid military clients in space-related missions. Tags: engilityGovconLynn DugleM&A activitySAICScience Applications International Corp.